FH Series Database & Info. FM Series Database & Info. VIN Series Database & Info. Triumph Cars Club of Finland ry. 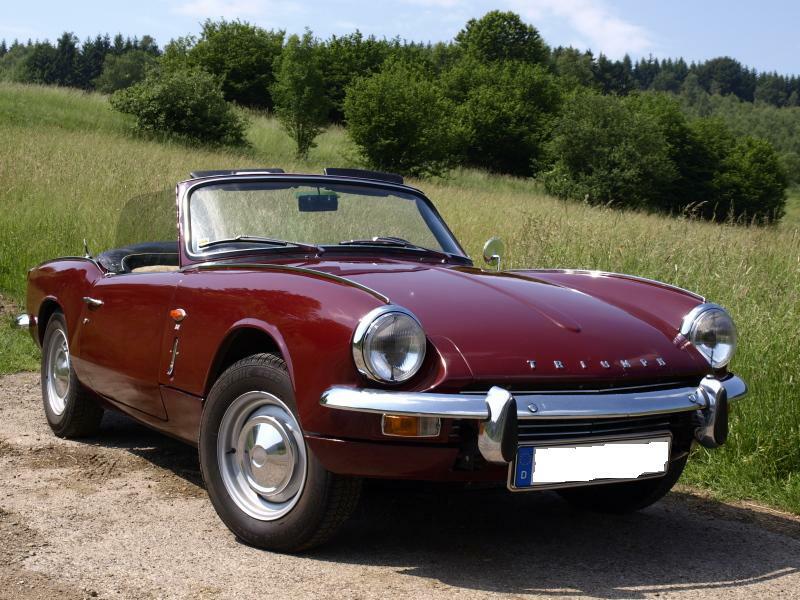 The Spitfire was designed by Giovanni Michelotti based upon the Triumph Herald frame, drive train and suspension. 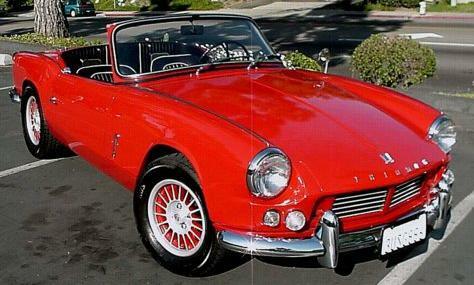 First introduced in October, 1962, as Triumph's entry into the small British Sports Car market, the car competed very favorably against the MG Midget and other inexpensive sports cars. What was particularly attractive was the independent suspension and the roll-up windows, giving the Spitfire very nice handling characteristics and the comfort of much higher priced English Sports Cars. 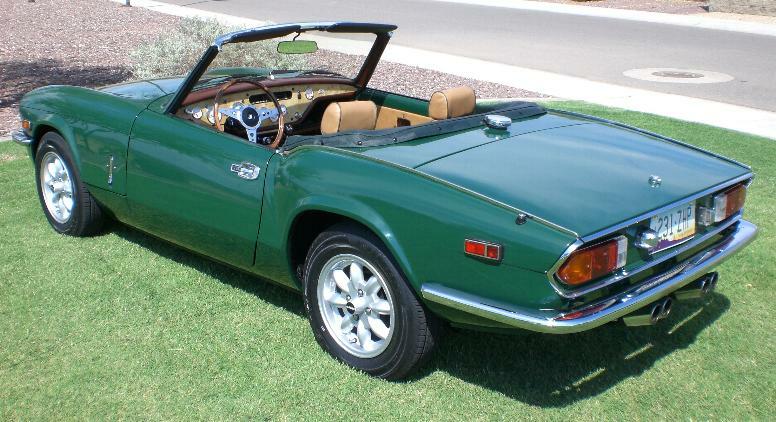 The original design survived through three series and was updated by Michelotti with the MkIV for the 1971 model year. The Spitfire's design remained basically the same but was modernized in appearance and some modifications were made to the rear suspension for cornering stability. Additional changes were made through the years in the form of upgraded engines. Originally the Spitfire employed a 1147cc 4 cylinder upgrade of the Herald engine. With the Mk3, the engine grew to 1296cc and employed a re-designed head with 4 intake ports. After the MkIV series ended, the basic 1296cc engine was increased to 1493 cc's by lengthening the stroke with some additional head modifications. Unfortunately, emissions controls on later model engines (particularly US models) offset much of the performance gains that came with the improvements. In an ongoing effort to identify and record the number and geographic location of all remaining Triumph Spitfires, this database was established. For the purposes of maintainability and ease of use, it has been divided by vehicle model. 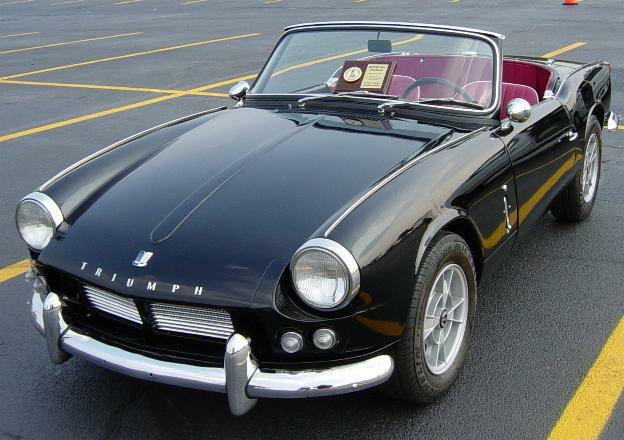 Because much of the data was contributed by Triumph clubs around the world, there are likely many errors. Since the data has been accumulated over the course of time, vehicles have changed hands or suffered the fate of accidents, rust or other demise, but have not been removed from the logs of the clubs. Therefore, in viewing the information contained in this database, please watch for information you know to be outdated and use the data entry form to report these errors. Some of the model year data differs from what is reported by the owner. This can be explained by the fact that although manufacturing dates are available in some cases, the initial registration date of the vehicle is what is most often used. Many vehicles that were unsold at the end of a model year were updated by dealers to the next model year. This was rationalized by the fact that there were few if any changes in the cars between certain model years. I have applied the manufacturer's model data in cases of conflict. Additional discrepancies have been noted between the data reported by individuals and what is widely accepted as manufacturing sequences. Most notably is the inclusion of some MkIV Spitfires which are identified with early FM commission numbers. The FM series is generally accepted as the exclusive domain of the Spitfire 1500. Since many of the vehicles listed were reported by clubs, the names and city locations are withheld pending personal authorization by the owners. So, If you see your car listed, use the data entry page to complete the information. At the same time, if you know of additional Spitfires that are not listed, use the data entry page to input the new data. The database is planned for monthly updates as time and new data dictate. The database is and will always be a "Work in Progress". At this time, the list includes just over 4 percent of the Spitfires that were built. It is the author's opinion that as many as 20% of those cars are still around. Hopefully, in time this database will more closely reflect those numbers and lend credence to that assumption. New registrations are being received at an average rate of about 20 per month. This month there were 15 new entries. Because of the characteristics and beauty of the Spitfire body and suspension, many cars have been modified to include a wide variety of drive trains from upgraded original engines to V-6 and V-8 applications as well as the popular "Spit 6" modification which employs a GT6 engine and drive train. This database seeks to include all these cars as long as they retain the original commission number for listing purposes. Only cars that no longer carry the Spitfire commission number are excluded, and only then because it is no longer possible to list the car in its proper alpha-numeric sort order. Race cars that have had the commission plates removed are also excluded for the same reason. Thanks to The Vintage Triumph Register, The Triumph Sports Six Club, Amicale Spitfire Club, Club Triumph Holland, The Triumph Club of Sweden, The Texas Triumph Register, Triumph Spitfire Club Holland, Spitfire Club Deutchlands, Registro Italiano Triumph Spitfires, The Triumph Club of South Africa and The North American Spitfire Squadron for cooperation in this effort. I certainly don't want to forget to thank all the local Triumph clubs who have published the request for data in their newsletters, and of course the many individuals who have sent in their Spitfire data. Because the size of the 1500 database has grown so rapidly, it has become necessary to separate it into three distinct parts. These parts are a natural separation and follow the three numbering sequences that Triumph used in the production of the 1500 series. The FH series is a continuation of the sequence that was begun with the MkIV. This sequence was used on all pre-VIN 1500s except those bound for the North American Market, and were first produced in 1975. The FM Series was introduced in 1973 with a new numbering sequence for the introduction of the 1500 models into the North American market while the rest of the world was still getting MkIV's.